In an effort to improve ease of doing business, in February 2016, under a government directive, JNPT port had extended the DPD (direct port delivery) system for delivery of import containers to all the registered members of the Custom’s Accredited Client Program (ACP). 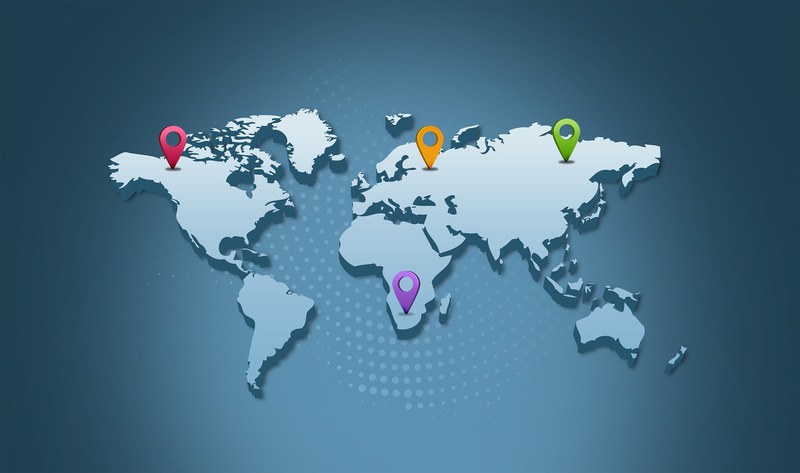 The DPD model which is designed to reduce delivery time of import consignments and associated handling costs, will replace the current CFS model for the ACP members. The change will be implemented in phases. According to reports, for the first phase, JNPT port had a target of increasing the then 3 per cent share of DPD to 40 per cent. Going forth, this target is proposed to be further increased to 70 per cent. How does the DPD model work? Under the DPD model, instead of waiting for the consignment to be shifted to a CFS, importers can complete the customs clearance process at the port and take direct delivery of their consignments. Here, the importers have to arrange for clearance of the entire shipment and transportation of the same from the port within 48 hours of the shipment being offloaded at JNPT port. 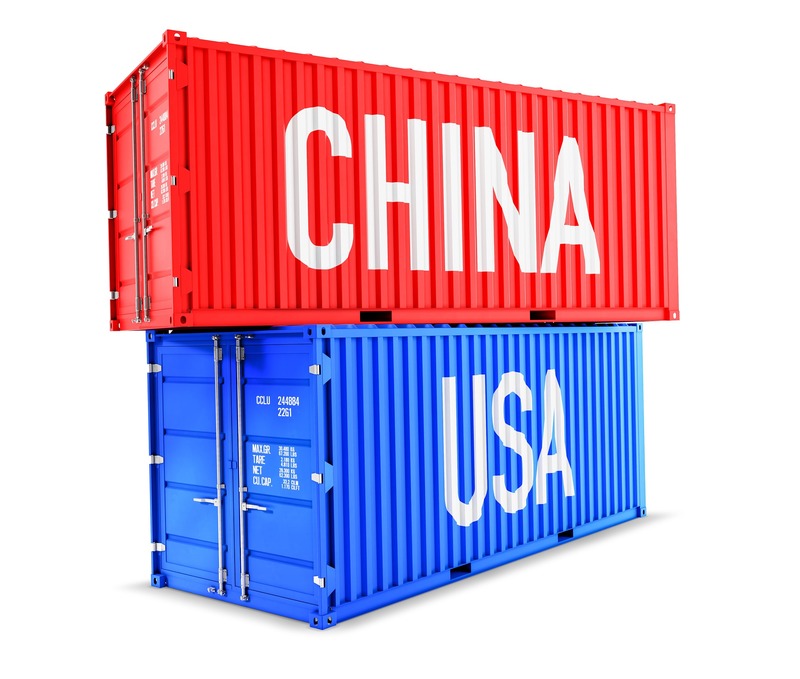 In the event that the importer fails to take delivery within the stipulated time, the entire shipment would be transferred to a pre-designated CFS. In such a case, the importer would have to follow the CFS mode of import clearance. The following comparison of the the two delivery models will help understand how the time and costs attached to delivery of import containers reduces in the DPD model. 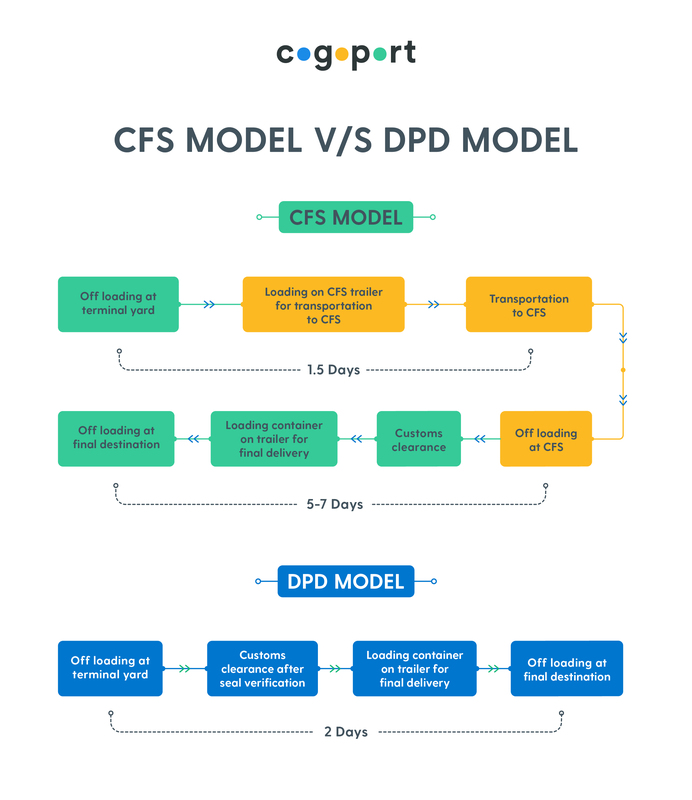 As is evident from the process flow chart, two stages of container handling and one transportation stage in the CFS model is eliminated in the DPD model. The time taken in import clearance in the DPD model reduces to 2 days from the 7 – 9 days taken under the CFS model. 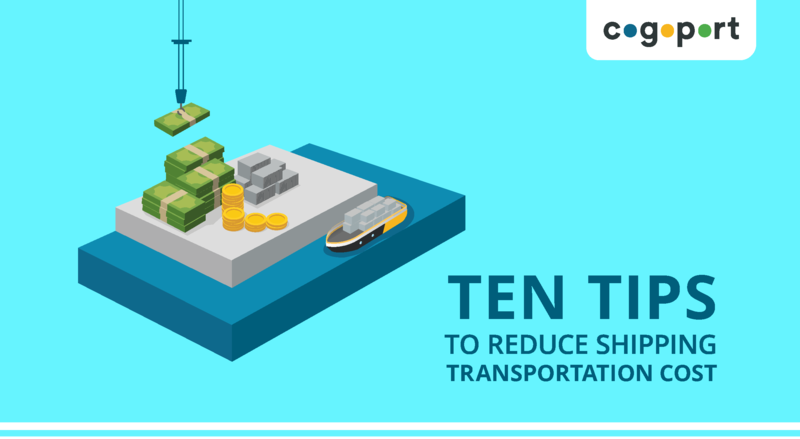 In addition to the above benefits, the DPD system could also help improve the container turnaround time for the shipping lines. While there is no doubt of the benefits to the trade and improvement in efficiency in the import procedure, experts in the logistics and shipping sector are skeptical of a quick and easy shift in the import container delivery process. According to the industry, the first and most important hindrance in the implementation of the model at JNPT port which was designed on the CFS model, is the lack of infrastructure and space. The trade fears that the DPD model will increase congestion in an already congested port, thus reducing efficiency instead of improving it. This model may face similar issues at other port locations as well. Another problem that the trade, especially the CFS operators will face due to implementation of DPD is the loss of business, which would lead to employment loss for CFS employees. Some of the CFS operators are also fearing redundancy after the DPD model is implemented for majority of the import shipments. In the one-year since the DPD system was extended to all ACP members and despite teething issues, JNPT port has managed to increase the share of DPD model in import container clearance. According to reports, as of April 2017, 27.62 per cent of total import containers were cleared through DPD. Even though the DPD system has gained in popularity in the last one year, it has also faced some resistance from various sectors of the trade. The model which was launched to improve efficiency and reduce cost for importers has created other problems like inventory management, storage space crunch, and lack of required number of trailers. For importers facing these issues, especially storage space problems, clearing containers via DPD may increase their overall cost instead of reducing it. JNPT port authorities are also facing a challenge in setting a uniform pricing for DPD system across the four terminals at JNPT. The private players operating 3 of the four terminals are opposing the application of a uniform rate for direct port delivery as it may not benefit all the terminals equally. In fact, according to reports, for the terminals operating on a revenue-shared model, it may lead to lower revenues.